1、 The colour is materials' own colour. There is no need to paint in 10 years, saving manpower and resources for painting. 2、 The floating body has strong self-lubrication, and any water growth could not adhere the tail pipe and floating body, saving time and manpower to shove it. 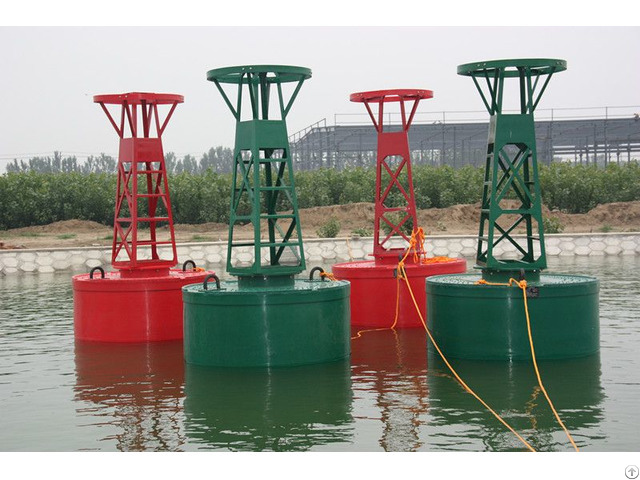 3、 The buoy is higher anti-impact, so it can greatly reduce the chances of being damaged and save manpower and resources to repair. 4、 The ballast, treated by anti-corrosion, is placed into the closed tail pipe, avoiding water corrosion . 1. The material of floating-body has a higher degree of flexibility and hardness. ( The Rockwell hardness of floating-body material is 40, while the Standard Steel material is 45), when impacted by external power, it can absorb the energy rapidly and restore the prototype. 2. With light weight and small inertia, when impacted, the buoy can quickly shift to resolve the impact force, avoiding damage. 3. With higher flexiblility, anti-stretch, and tear strength, the floating buoy can maximize the absorption of impact force. 4. The floating body is designed with special structure, the polyurethane foam's pouring density ≥46kg/m3, which plays a strong support to the floating body, ensuring the floating body can quickly resore after impacted without deformation. 5. The lamp bracket uses composite materials, many improvements have been made on the basis of national standard. The security, anti-impact ability, life expectancy have been substantially increased. 7. New safety guard has powerful anti-deformation capability and improves the protection of lighting and solar panels. 1. With high chemical stability and high anti-corrosion, the buoy will not decompose for decades in the seawater, meanwhile, it will not pollute the water. 2. 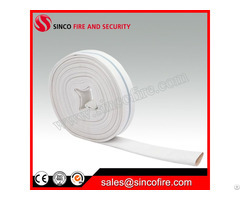 The floating body and tail pipe are very resistant to outdoor ultraviolet radiation. It will not be aging for decades and the mechanical properties will not change. 3. Lamp bracket is specially treated for anti-rusty, so its working life could be more than 20 years. 4. With special structure, the ultimate working load of each lifting eye will be more than 60 tons. 1.Imported Germany pigment is used, so the color is material’s own color, no pollution to environment. 2.No anti-fouling paint used, so it will not pollute environment. Impact resistance Higher resilience, no deformation, no damaging, no leaking, no leaning, and no sinking, maintenance-free, continual use available Leaking, leaning, and sinking occurred once impacted, the buoy could not work again. Leaking, leaning, sinking, and damaging vessels occurred once impacted, the buoy could not work again. Business Description: Shandong Buoy & Pipe Industry Co., Ltd. is a high-tech incorporated company which is specialized in researching and manufacturing UHMWPE（ultra high molecular weight polythene）products.